he Hospice Association of America (HAA), a NAHC affiliate, has learned that many hospices have received letters from PRS, a debt collection company, requesting payment for pain medications that were paid under Medicare Part D that should have been covered under the Medicare Part A hospice benefit. The claims are for 2011 and 2012 payment. All letters we have seen are for claims paid by United Healthcare Insurance Company or an affiliate under the Medicare Part D program. The letter states the hospice has 30 days to dispute the debt. If the hospice does not dispute it, PSR will consider it a valid debt. Because this request is not directly from CMS there is not an appeals process, just the dispute option. HAA has been in touch with PRS and has gotten additional information. HAA continues to communicate with PRS, and has also reached out to other appropriate parties. Further information will be shared as it is learned. 1. Medications are not listed on the request letter, only Rx number. PRS has told us they cannot put the medication name in a letter due to privacy requirements; however, they are working on developing a speadsheet that contains this information. That spreadsheet would be specific to each hospice and could be e-mailed to the hospice in a secure format. If the hospice is willing to receive the information this way PRS will send it. We do not have an anticipated completion date for these spreadsheets. 3. The letter states that the hospice has 30 days from receipt of the letter (not the date of the letter) to file a dispute. Some hospices have been told that by filing a dispute they will not receive additional information. As we understand it from PRS - PRS will notify Optum Hospice Rx, which is PRS' customer, of the dispute and Optum Hospice Rx will decide the future course of action. We would like to have this information confirmed in writing from PRS but we do not have that at this time. 4. Hospices are reporting that they have been able to cross reference the Rx number and dollar amounts with invoices to figure out the exact medication.. Upon doing so they realize that the hospice paid the pharmacy for the medication or told the pharmacy to bill them and the pharmacy did not, the medication is unrelated or unreasonable/unnecessary, and some have found that the medications are for patients who were not on service for the date listed. These would all be reasons to file a dispute. 5. PRS has made it clear to us that they are willing to work with providers on payment plans. It sounds as if they are willing to work with hospices on the issues identified and resolution. HAA is suggesting that hospices review their records to determine if the medication(s) should be covered under the Medicare hospice benefit. If so, the hospice should pay the debt. If not, the hospice should dispute the debt. Q.6 – Are all the drugs in the four categories identified in the 2014 Call Letter considered related and, therefore, covered under the hospice benefit? 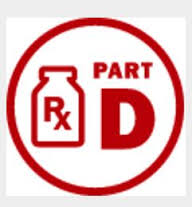 Are all maintenance drugs considered unrelated and, therefore, covered under Part D? A.6 – Any drug whether it is a maintenance drug or in the four categories of [sic] identified in the 2014 Call Letter (including analgesics, antiemetics, laxatives, or antianxiety drugs) may be unrelated to the terminal illness and/or related conditions and, therefore, coverable under Part D. As a result, coverage determinations must be made on a case-by-case basis for each drug. The Q & A are available now on the hospice center website here. As a reminder, HAA continues to collect stories on the impact of the Part D PA process on beneficiaries and hospices for advocacy efforts. Please see information below on how to submit your stories. NAHC and others will continue to fight the Part D PA policy. In order to do so, hospice providers must submit stories that illustrate the serious issues that are arising for patients, family members, and hospices as the result of CMS’ imposition of the PA process. In an effort to simplify submission of stories, NAHC has developed a brief online survey tool - comprised of seven questions - is located here. The survey is intended to be used by hospices to submit descriptions of incidents where the PA policy has created problems. The survey is open to all hospices, regardless of membership. Participation is very much appreciated and will help with efforts to educate The White House, CMS, and Congress on the many negative consequences arising from imposition of the Part D prior authorization requirement for hospice patients.